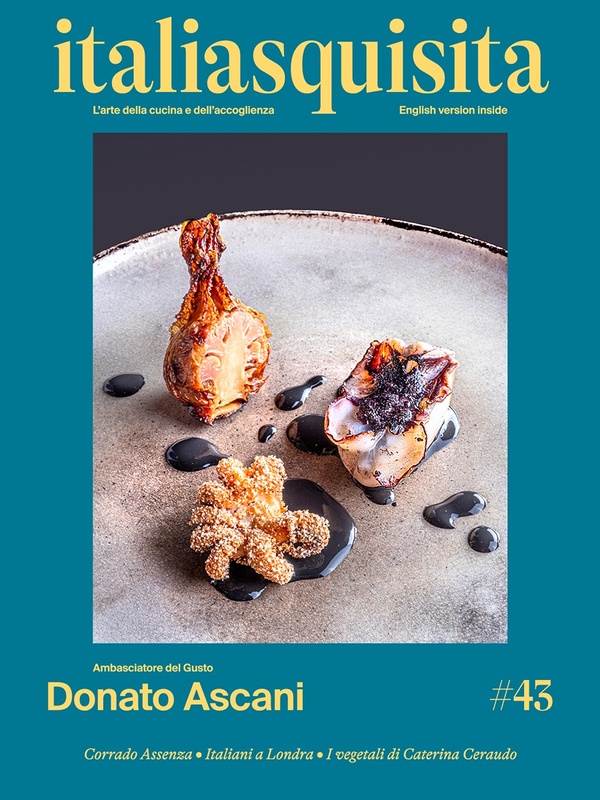 Giancarlo Morelli's Restaurant “Pomiroeu” in Seregno reveals us the secrets for a good recipe for Tarte Tatin and for the timeless recipe for Apple Strudel. All together! Preparation For the filling: Peel the apples and cook in a pot with water and sugar until the apples are dry, mix well with a blender and pass the mixture in a strainer. For the strudel: peel and dice the apples, marinate them overnight with raisins, pine nuts, cinnamon and sugar. Roll the strudel dough, cut into rectangles and arrange in the center the marinated apples. Close giving the shape of the strudel and bake for 10 minutes. Serve on English cream flavored with cinnamon. For the tarte tatin: peel and cut apples into wedges, dissolve the sugar in a pan and put the apples to cook until they are well caramelized. Arrange the apples so obtained in steel cylinders, put on a disc of puff pastry spread thin and cook for 15 minutes at 170 ° C. Serve on English cream. For the sorbet: Boil water and sugar for 10 minutes, putting green apple peeled and diced in the paco jet siphon and cover with syrup. Freeze. When the sorbet is frozen, put it in the apple emptied with the help of an apple corer, cut into wedges and serve with chocolate chips on the slice to remember the apple seed.